"A powerful and insightful film, a revelation in what it means to be human and the fact we are all connected!" 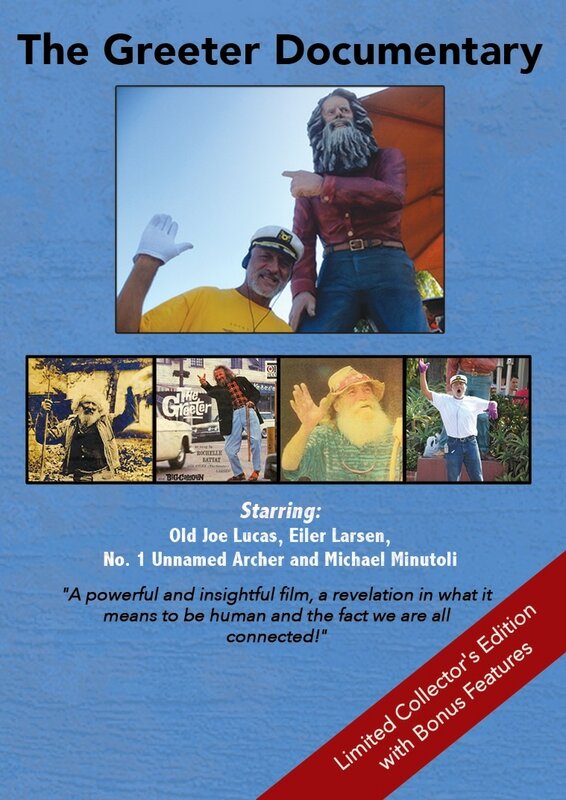 ​The much-anticipated release of The Greeter Documentary on DVD is here! Only 500 copies will be produced and are sure to become a collector's item! Not living near Laguna Beach? Click below to buy the DVD and have it shipped to you! Own the Limited Collector's Edition of The Greeter Documentary! The greeter Documentary reviews are in! 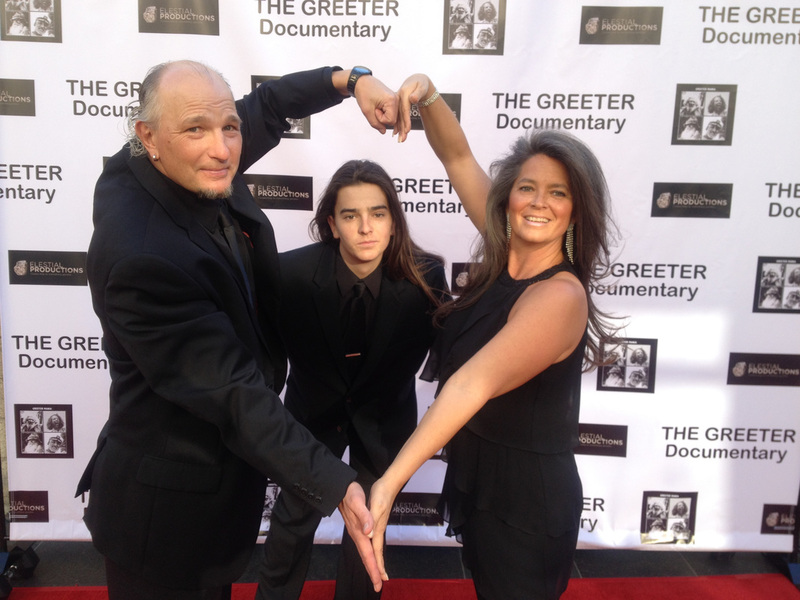 Producers Tabatha and Martin Yewchuk with Michael Minutoli at “Greeter Documentary” premiere last month. Elestial Productions Creative Team! Martin, Sava, Tabatha Yewchuk. Like everyone else, Minutoli waited in suspense. “I haven’t seen it yet either.” The venue Seven Degrees had been split into three viewing areas, each with its own screen. The first of two screenings began at 6 p.m. and it appeared to be a sell-out. “Michael, thank you for sharing your gift with the world and for being you,” said film producer and local resident Martin Yewchuk, who also thanked a long list of community supporters. It was obvious locals also embraced his Elestial Productions effort. “We had lots of love and support at the premiere, over 450 people were there,” co-producer Tabitha Yewchuk said. “We had to turn people away.” Another showing may be a possibility, as is another fundraiser to underwrite marketing of the film in the hope of attracting a distributor, she said. The film pieces together multiple generations of anecdotes about the fascinating tradition of greeting in Laguna Beach. The film’s structure begins in the present before jumping backward to the 1880’s. It provides a chronology of Laguna Beach’s greeters starting with Old Joe Lucas before moving on to Eiler Larsen, Number 1 Unnamed Archer and Michael Minutoli. The film doesn’t have a single dominant narrator and instead uses testimony from a wide range of people, both local residents and tourists, to drive the narrative. In the course of excavating its dominant theme, the directors also capture the town’s history. The chronological documentation of greeters simultaneously reveal Laguna’s development over 100 years, giving newcomers real insights into the city’s evolution. The directors show their understanding of Laguna’s eccentricities, where quirky characters do things differently. One resident interviewed in the film humorously compared it to a “witness protection program town,” raising applause from the local audience. The film delves into the characters of these men and why they make the extraordinary commitment of time and effort. Laguna’s current greeter, Minutoli, receives the most attention and his high-energy, party crashing, sleep-avoiding character is laid bare. The film closes with a positive message. The ending leaves viewers with a clear reminder to enjoy the present, friends and family, and to not get caught up in daily stresses. In its final seconds, the film reveals a question posed by many who observe Minutoli every morning. What does he listen to in those headphones? His top three artists: Elvis, David Bowie and The Rolling Stones. "The show was awesome and well done. So happy to be part of it! Thank you Tabatha and Martin Yewchuk for such amazing work!! This made us appreciate Laguna Beach even more!" “Thank you for a lovely evening! The Greeter Documentary was Excellent! You should be very proud! Good luck!" M and I went to see this heartwarming documentary and I highly recommend it. The theme is "embracing each other and our differences" and it does a beautiful job exhibiting it through 125 years of history of the LB Greeters. It was funny, heart-warming and uplifting. The greeters lived in the present and shared joy through the simple act of greeting for hours every single day. It was wonderful to hear the many stories of those who were lucky enough to cross their paths over the years.  Great job Elestial Productions! We left smiling!" "So, I finally got to watch the Greeter Doc and man, did you do a great job... Not only is it a fascinating history of our greeters, but also a real love letter to the heart and spirit of Laguna Beach in general!" "Martin & Tabatha, Congratulations on your successful premiere of The Greeter. It was absolutely fabulous! Everyone I talked with concurs. So happy for you!" 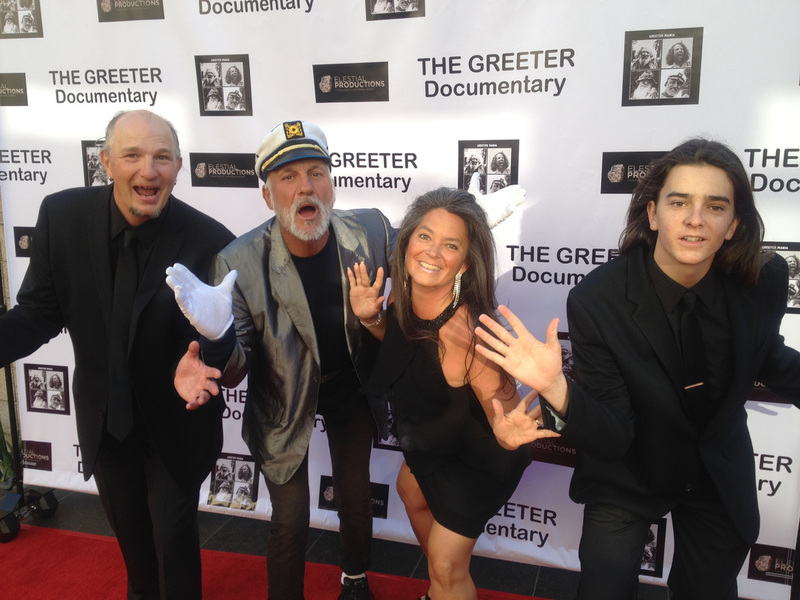 "The Greeter " Documentary Film Premiere at Seven Degrees was a wonderful and a great success for Filmmaker Martin Yewchuk and Elestial Productions."